This special technique originates from Italy. I had the honor of learning this art from the best engravers in Brescia, Italy for two years. It is highly realistic and very detailed and therefore a very time-consuming method. Very fine lines and dots are stitched very closely together to support the effect of light and shadow. 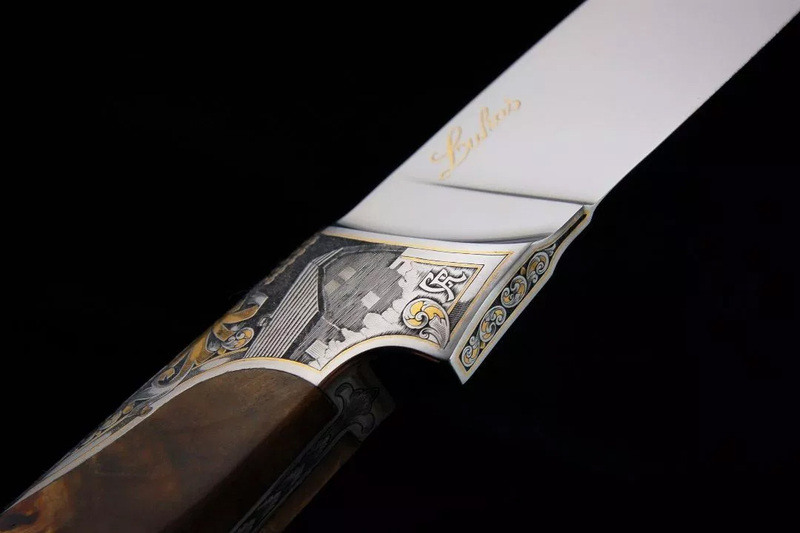 With this technique, however, it is possible to engrave every motif you wish, from hunting scenes to landscapes to photographs. Flat pass engraving is the cheapest and one of the most commonly used engraving techniques. 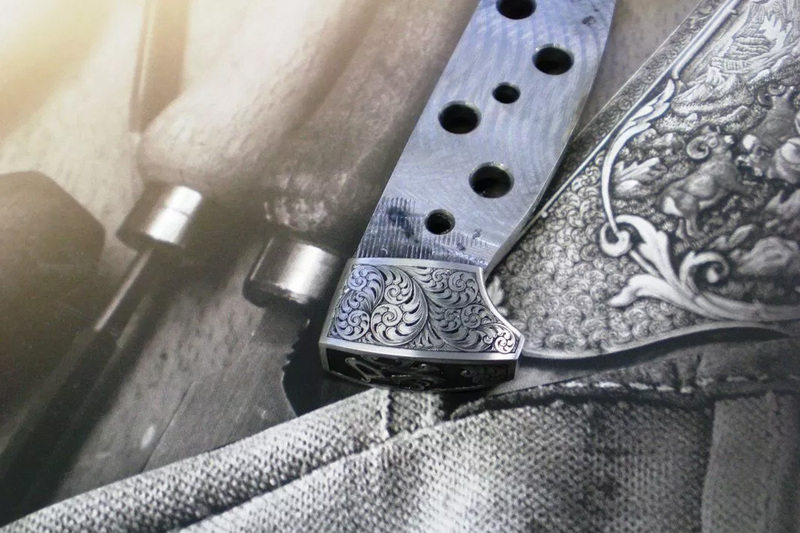 With this kind of engraving there are various kinds of images or picture-scenes possible, for example: Monograms, typographies, ornamentals, animalistic scenes or English-design. For flat pass engraving the engraver uses cutting tools, like the stylus. Characteristic of this technique is superficial engraving, without much depth. The area to be engraved retains and gets interrupted by lines of different weight and depth, which creates hard to fine contrast in the work. Almost every subject is suitable for engraving. For inlaying gold or silver you have to erode the material. 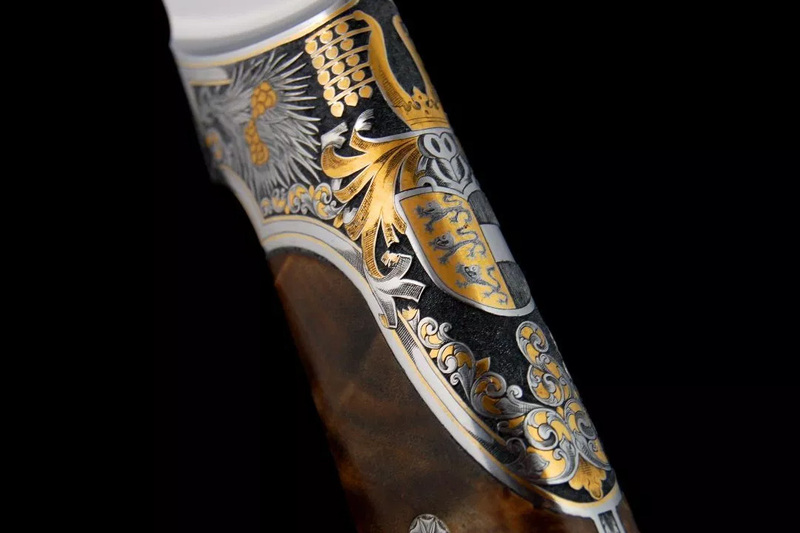 Then gold and silver is inserted into the engraved lines. This special decoration is possible with every type of engraving.